To avoid the swishing, stomping, spraying, swatting, fly mask days of summer this year, now is the time to schedule your Fly Predators brand beneficial insects. They are the natural enemy of flies, but never bother people or animals. Many of our customers say they hardly see a fly all summer. Every three to four weeks just sprinkle Fly Predators near all manure areas. The amounts listed typically provide excellent control and may even cost less than what you were spending before on all that fly "stuff". Varying climates, starting late, or manure management can affect quantities needed. It will likely cost less than you'd expect and work better than you can imagine. For best results you want to start in the spring before flies are bad. Order five months of pay-as-you-go shipments and get double the Fly Predators in one of those shipments for no-charge. Order nine months and get two Extra shipments. This helps insure the best control when fly pressure is at its peak. The Know How For No Flies Video - Watch It Now! Fly Predators. 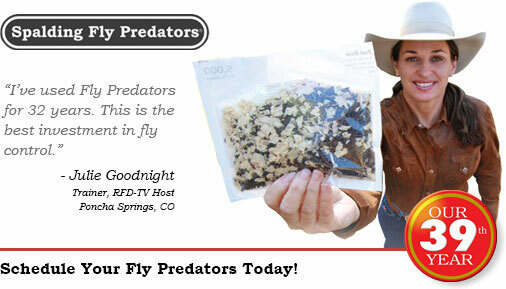 Try them and see what you could be missing...Flies! 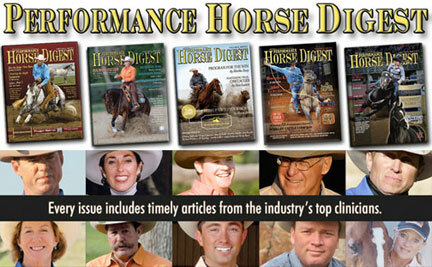 "Cowboy" songs, poetry, stories, horse info and more. or call 1-866-228-1554 and use Ad Word "w43ke". are trademarks of Spalding Laboratories, Inc. Copyright © 2015 Spalding Laboratories, Inc. All rights reserved.